Foxwell put a lot of thought in the construction of the Foxwell NT650. The scanner is built with a rubberized sleeve that prevents it from damage in case of impact. Plus the rubber makes handling this device a lot easier because it ensures a nice and firm grip. While a sleek outlook is good and all, it’s not the most important thing in a scanner. Functionality and usability are bigger considerations. As far as the latter goes, the Foxwell NT 650 is a simple and straightforward OBD2 scanner. Featuring a 4.3-inch display, it has diagnostic apps organized on the home page. The first app is for OBD2, the second is for ABS/SRS, the third is for BRT followed by DPF, EPB, Oil Reset and so on. In total it supports over 11 functions (which we will look at in details later in this Foxwell NT650 review) and an option to view/change the device’s settings. The bottom line here is that the thought out interface makes it very easy for you to access a diagnostic function. Let’s briefly circle back to design, and there’s something else worth mentioning here. The scanner has function keys labeled “F1”, “F2” and “F3”. They allow you to create shortcuts for the functions that you use most frequently. In other words, they are customizable hotkeys. 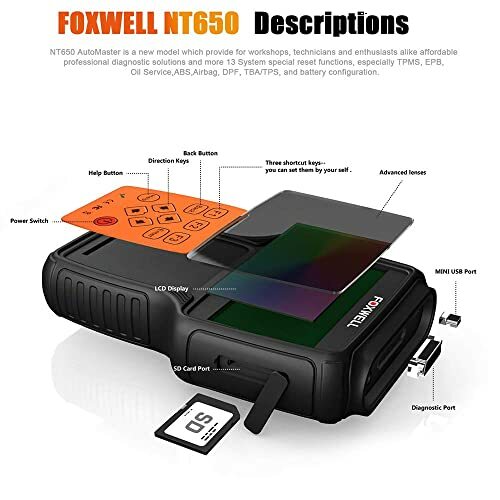 Now, that’s just a brief overview of the Foxwell NT650. As promised we are going to look at its functionality and the reasons why it makes a good purchase. Ready? Great, let’s dive straight into that. If you have some experience with OBD scanners then you will agree that they all have a few flaws here and there. Foxwell NT650 is no different and the cons above are proof of that. If you feel that it falls way too short for your needs you could consider buying an alternative scanner instead. The two that immediately spring to mind are Foxwell NT630 Elite and Autel MaxiCheck Pro. But how do they compare with the NT650? Below is a comparison chart covering their functionalities. Supported Systems Engine, ABS, SRS, EPB, DPF, etc. Engine, ABS & SRS Engine, ABS, SRS, EPB, DPF, SAS etc. Bottom Line The Foxwell NT650 ideal for DIYers and enthusiasts. It however falls short for use as a primary scanner for a workshop. Foxwell NT630 Elite is built for DIYers or Enthusiasts who have wide range of cars. MaxiCheck Pro is simple, easy to use, and has been designed for professional technicians and body shops to service individual specialized systems. Although it supports advanced diagnostics, the Foxwell NT 650 can be used as a code reader. With it, you can read and erase codes from almost all the main systems of a car. They include ECU, ABS, SRS, EPB, DPF, TPMS TBA/TPS, CVT, and BRT. Ordinary car owners are most concerned about ECU, ABS and SRS codes. By reading and erasing ECU codes you will be able to reset the Check Engine Light. Clearing ABS and SRS codes helps reset the warning lights for the anti-lock braking system and airbag system respectively. You may have noticed that we haven’t mentioned the transmission system anywhere. That’s not a mistake, it’s because the Foxwell NT650 neither reads nor clears transmission codes. Still, it makes a decent code reader that supports all 10 OBD2 test modes, including Mode 6 test. You can read and erase codes from almost all the main systems of a car. They include ECU, ABS, SRS, EPB, DPF, TPMSTBA/TPS, CVT, and BRT. If you are more interested in advanced functions then you may want to read this and the next point more carefully. They both highlight the advanced diagnostics offered by this Foxwell scanner. As far as bi-directional tests go, the NT650 supports well over 10 tests. They include ABS tests (ABS Version Test, ABS Manual Control Test & ABS Motor Test), Lamp Tests, Actuator Tests, Automated Test, Auto-bleed Test, Service Bleed, Brake Bleed Preparation Test, Idle Up Manual Control Test, Gear Tension Relief Test and Function Test. These tests are used to determine the efficiency of a car’s system. For example, ABS tests enable the user to send commands to the ABS system and observe how it responds (like it would respond if the command had come from the car’s onboard computer). The user then uses the information to determine whether the ABS system is functioning as it should or if it needs fixing. Mostly it is mechanics and DIY enthusiasts who use such tests. But even if you are an ordinary car owner it doesn’t hurt to have a scanner that can do them. ABS tests enable the user to send commands to the ABS system and observe how it responds. 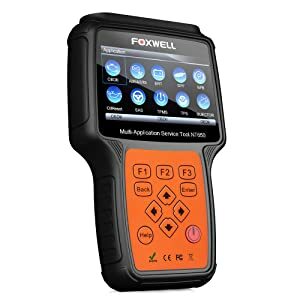 Alongside codes and bi-directional tests, the Foxwell NT650 also supports a number of special diagnostic functions. You can do oil service reset, DPF reset, EPB reset, SAS calibration, TPMS reset, camshaft gear learning, injector coding, and BMS service. It records both live sensor data as well as freeze frame data. Equally important is the scanner’s ability to graph data for easy analysis. 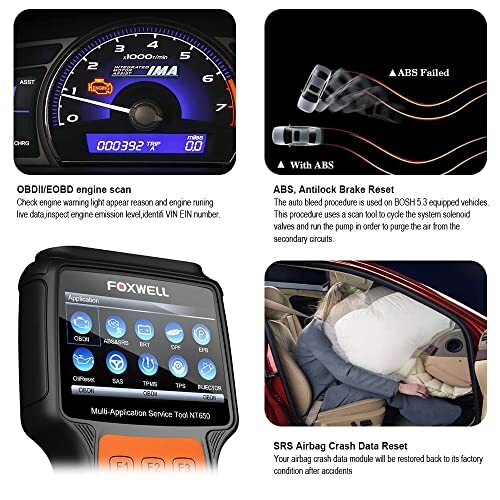 Exclusively an OBD2 scanner, the Foxwell NT650 covers over 58 car brands from the USA, EU, and Asia. But that’s just for ABS and SRS diagnostics. Other functions don’t work on all those vehicles. For example, the oil reset function only covers 49 car brands while DPF regeneration covers even fewer – 33 brands. TPMS adaptation only works on 32 makes of cars while throttle body alignment works on 30. Although it has a wide coverage, the range of functions you will get largely depends on the make of your car. You may want to check with Foxwell first before making your purchase. This product comes with free lifelong software updates. 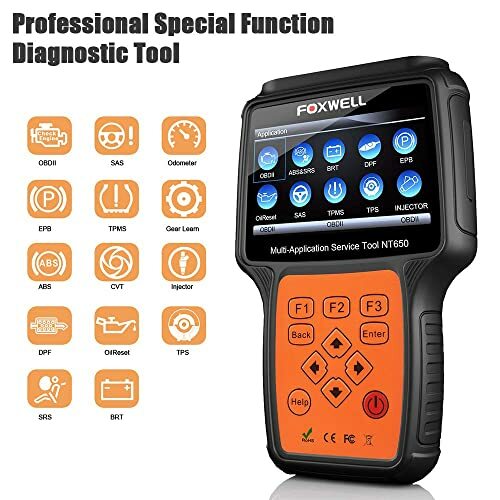 The impressive range of advanced diagnostics makes the Foxwell NT650 ideal for DIYers and enthusiasts. It, however, falls short for use as a primary scanner for a workshop. That’s because it doesn’t support professional-level functions like ECU coding and programming. 1. 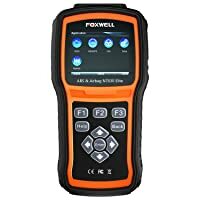 Will the Foxwell NT650 work on my car? If your car is an OBD2 model then it will likely work. But check with Foxwell for confirmation of compatibility and the range of functions you will get because it varies based on the car’s model. 2. 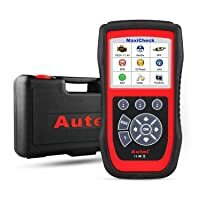 Can I check my transmission using this scanner? No. it doesn’t cover the transmission system. 3. 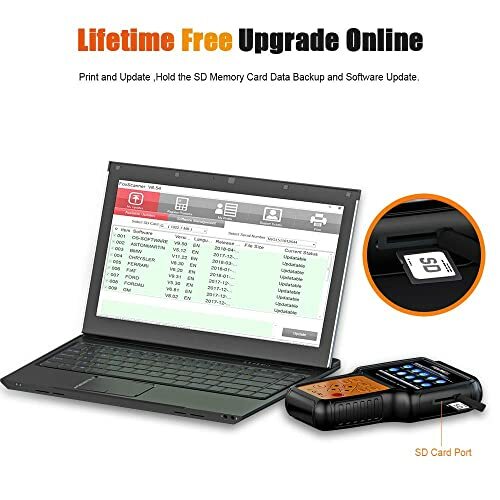 Why should I update my scanner? Updating your Foxwell NT650 fixes bugs, adds newer functions and updates the vehicle database to include latest car models. 4. Will it identify my car automatically? Typically yes. The Foxwell NT650 should identify your car automatically using auto-VIN. If it fails you can choose the make and model manually from the built-in database. 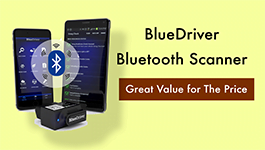 These scan tools support advanced functions such as ECU programming and ECU coding. Besides, they can perform all-system diagnosis and special functions. Hello this website is a great source of knowledge. Would this item reset the inactive air suspension on my rang rover? Thanks. May I have your Rand Rover model?